Properties in Randolph County average 4.6 out of 5 stars. On the Cheat River. HOT TUB ! Full Staff. Pet friendly. Property 4: On the Cheat River. HOT TUB ! Full Staff. Pet friendly. The Overlook: Beautiful Riverfront Views, NEW PROPERTY, perfect for families! Property 5: The Overlook: Beautiful Riverfront Views, NEW PROPERTY, perfect for families! Beautiful country cabin provides cozy year-round comfort. 4th Night Free. 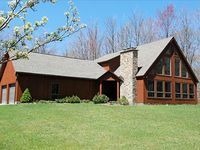 Property 7: Beautiful country cabin provides cozy year-round comfort. 4th Night Free. On the Cheat River. HOT TUB ! Private. Pet Friendly, Fully Staffed. Property 8: On the Cheat River. HOT TUB ! Private. Pet Friendly, Fully Staffed. Property 9: On the Cheat River. HOT TUB ! Private. Pet Friendly, Fully Staffed. Your Adventure Awaits! Breathtaking views and Private River Access! Property 13: Your Adventure Awaits! Breathtaking views and Private River Access! Property 16: This one is so special. You have to see it to believe it. Property 17: Romance is alive in this beautiful and secluded mountain cottage. Property 18: Private Romantic Getaway, Tucked in the woods! Private Hot Tub! Property 19: Enjoy Panoramic Views from this adorable Treehouse! Hot Tub w/ a view! Property 20: Adorable and Affordable Mountain Cabin Has It All and Then Some! Property 22: Recently renovated and freshly decorated-welcome to Mountain Getaway! Property 23: Two stories of comfort-15 Acres of Privacy. No wonder the eagle landed here! Property 25: Accomodating, Affordable, Accessible ~ Sunset Chalet!! Property 26: Private, quiet and picture perfect. Welcome to Fern Glade Cottage! Property 28: Skiers, bikers, boaters, hikers, to Rock Wall Inn! Property 29: Spectacular House~Convenient Location~Perfect! Property 30: Mountain Hideaway in private wooded property near attractions, Newly updated! Property 32: Incredibly private and affordably to Four Seasons of Fun! Property 34: Peace, quiet and a marked hiking trail to the is good! Property 35: Affordably priced and amazingly nice mountain cottage offers peace and quiet. Property 37: Zeeplace has it all! In the Heart of Canaan Valley! Property 38: Fabulous Mountain Views in a Mountain Cabin of Comfort! Property 39: Beautiful mountain home features night skies in panoramic proportions! 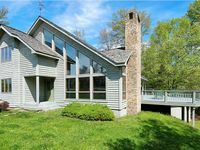 Property 41: Lovely Streamside Home Provides Easy Access to All Things Canaan Valley! Property 42: A beautiful view and lots of extras too! Super affordable lodging!! Property 43: Wonderful location and lovely accommodations truly provide The Great Escape. Property 44: Perfect Mountain Getaway w/Lake View and Access! Pet Friendly. Property 45: “Round To It” Provides Fabulous decks and Panoramic Mountain Views! Property 46: Beautiful contemporary home offers comfort and convenience in EVERY season. Property 47: Picture perfect meets perfectly peaceful in this beautiful mountain property. Rating Details: The property manager was very helpful. The vacation rental was spotless. I was very happy with the location. I was very satisfied with the condition of the vacation rental. Overall, I recommend this vacation rental. Reviewer Comments: Booked this vacation based on looks of the cabin, which presents very well. Could not have be happier with the cabin. The real surprise was Canaan, Davis and the surrounding area which offers endless opportunities for exploring, hiking,biking as well as restaurants and little shops. I was totally unaware of West Virginia and it's beauty.